Play our POKÉMON Detective Pikachu AR game and unlock FREE stuff. Click to learn more & start playing. Grab a $1 medium Slurpee! Offer good through May 21st. Click to see more. Get $1 small coffee or medium cold brew! All in the name of POKÉMON Detective Pikachu. Offer ends May 21st. Click to see more. Have some thoughts to share about this particular store? Give us your feedback. Check out our new beverage bar. 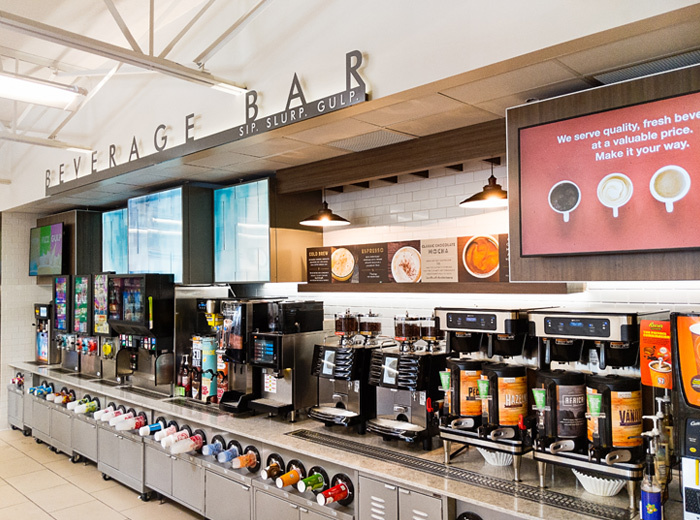 Enjoy a wide variety of new beverages such as cold brew, nitro, hot and iced mochas and lattes, frozen lemonade, Slurpee, and Big Gulp. With so many options and customizable add-ons, the opportunities are endless. *Prices, product availability, and participation may vary and may reflect temporary promotions. Check with store to confirm details. Does not include applicable taxes. This site is intended for residents of the U.S. and Canada, excluding Quebec. ©2019 7-Eleven, Inc. All rights reserved. Products and services available at participating locations. It looks like something went wrong. Sorry about that. Please try again later. Once saved, you can't remove it from your rewards wallet. Just making sure. Your info will be lost if you don't update now. Are you sure you want to do that? Please enter the email address that was used to register your account. If the email you provide is valid, you will receive a link to reset your password shortly. We have sent you an email with further instructions on resetting your password. You should receive it momentarily. We’ve locked your account due to suspicious activity. To unlock your account, please contact customer support at 1-800-255-0711. Can be used in-store to identify. Will be used to verify account. You agree to receive a one-time autodialed SMS message with a verification code. Message and data rates may apply. Consent is not a condition of purchase. we ask that you re-confirm your identity. Account verification required for new members to receive welcome offer. We sent a 6 digit PIN to your phone. Didn’t receive your 6 digit PIN? No problem, click resend and we will send you a new unique PIN to verify your mobile phone. If you are having issues verifying your mobile phone, contact support and we will look into it for you. Something went wrong, Try again! No thanks! Just show me the deals.